Join us at the Georgia Museum of Art for our Winter issue-release launch and closing reception of Storytelling, The Georgia Review‘s 70th anniversary art retrospective. The exhibition will be open for viewing, and featured contributor Jericho Brown will read at 7 pm accompanied by sign language interpreter Lynn Young. A catered reception will follow. Brown is the author of two critically acclaimed books: The New Testament (Copper Canyon Press, 2014) and Please (New Issues, 2008). He is the recipient of a Whiting Writer’s Award and has received fellowships from the Bread Loaf Writers’ Conference, the Guggenheim Foundation, the Krakow Poetry Seminar in Poland, the National Endowment for the Arts, and the Radcliffe Institute at Harvard University. He was a teaching fellow in the English department at the University of Houston from 2002 to 2007, a visiting professor at San Diego State University’s MFA program in spring 2009, and an assistant professor of English at the University of San Diego. He has also taught at numerous conferences and workshops, including the Iowa Summer Writing Festival at the University of Iowa. He is currently an associate professor of English and creative writing at Emory University in Atlanta, Georgia. 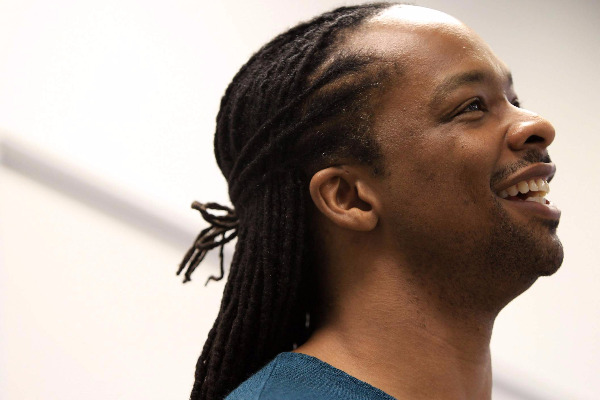 Read Jericho Brown’s poem “Riddle” from Winter 2016. This event is free and open to the public, and sponsored in part by a grant from the National Endowment for the Arts.